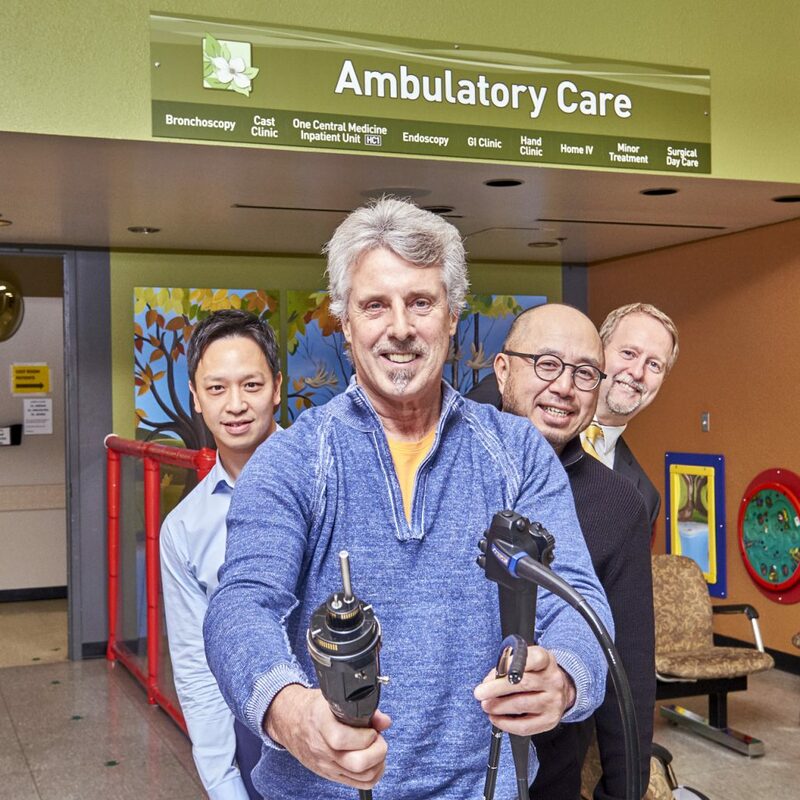 A campaign to support colon cancer screening at Royal Columbian has reached the end zone with the purchase of a new pediatric colonoscope for the hospital’s GI Clinic. Football Hall of Famer Lui Passaglia teamed up with philanthropist Jack Gin and Royal Columbian Hospital Foundation in 2017 for Get Behind Lui – an effort to raise money for the tool that is considered the gold standard screening method for colorectal cancer. The Jack Gin Foundation matched your donations during the campaign. The pediatric colonoscope is thinner and more flexible than a regular colonoscope and can be a better choice for some adults. Lui was diagnosed in 2013 and subsequently treated for stage 3 colon cancer. He’s now hoping others will recognize how regular screening can save lives. Royal Columbian Hospital is a major referral centre for screening and treating colorectal cancer.